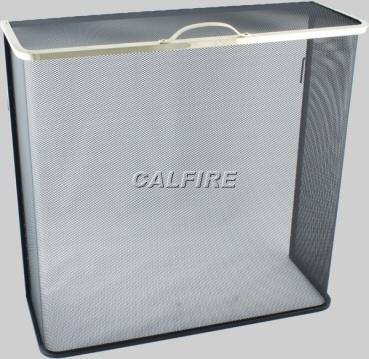 The Noble Box is a heavy duty fire guard is made in Britian. The frame is made from strong black section with Brass trim around the top section and black powder coated mesh. One of our most secure firescreens as it is enclosed on all sides. This fire screen can be made to measure. Please call or email us with your preferred dimensions. Height: 24" Width: 25" Depth:9"